Tax and child poverty, climate change and Christchurch’s rising from the ashes. These were just some of the various topics addressed during Thursday’s Stuff Leaders Debate. The answers were fiery and aggressive, passionate and mostly very quick on the draw – and, as is the case in any debate worth its salt, it included quite a number of burns from each of the two contestants. 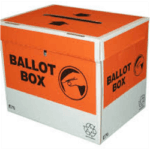 Voting stations open on Monday the 11th – two weeks before Election Day, when the ballot boxes are opened up and the contents revealed and tallied up. The system – known as advanced voting – has proved a popular way for voters to make their mark and have their say and is a much more streamlined way of approaching the voting process than setting aside a day during which voters would gather on mass and have to spend most of the day waiting around for their turn. Advanced voting – paired with Jacindamania – may very well be the reason that the 2017 general election is turning out to be one for the books. Since being elected to head up the Labour Party last month, Jacindamania has spread through the streets of New Zealand like a blazing wild fire. What’s more, it seems to be more than just quick-fire hero worship on the part of the people. 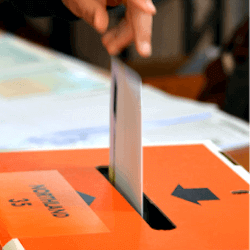 Last week’s polls placed Labour ahead of the National Party for the first time in eleven years. The tally: Labour – 43%, National Party – 41%. Ardern’s effect on the Labour Party may very well be described as a revival – with the young leader breathing new life into a previously rather morose situation. Political commentator Bryce Edwards likened the upsurge to that of the UK’s reaction to Corbyn, dubbing the movement a Corbynesque excitement. Corbyn and Ardern share a very similar style of leadership – one that invites involvement and input and is particularly popular among especially women and the young. Since Jacinda Ardern’s rise to popularity and subsequent appointment of leader of the Labour Party, Bill English seems to finally have his work cut out for him. The latest polls reveal that the current prime minister is now only 0.2 percent ahead of Ardern as preferred leader for the country, going forward. Ardern refers to herself as a social democrat – one who believes in equality and social justice, the value of human rights, democracy and the undisputed value of community involvement. Polls Shift in General Election With just over two weeks to go until the general elections, a new poll has shown that the gap between the two parties in widening …. 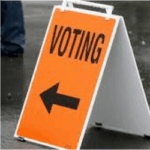 General Election Predictions and Betting Odds New Zealanders head to the poles for the general election on the 23rd of September to determine the who will gain majority of the ….